Fountain of youth is a video installation made in collaboration with Jussi Haro, Vilma Iivanainen, Emmi Länsman and Jaakko Myyri. It was also a situation specific art work in an international co-operation project called In Public, In Particular. The video is playing with the mythical concept of the fountain of youth and also with the art historical theme concerning mortality, Vanitas. 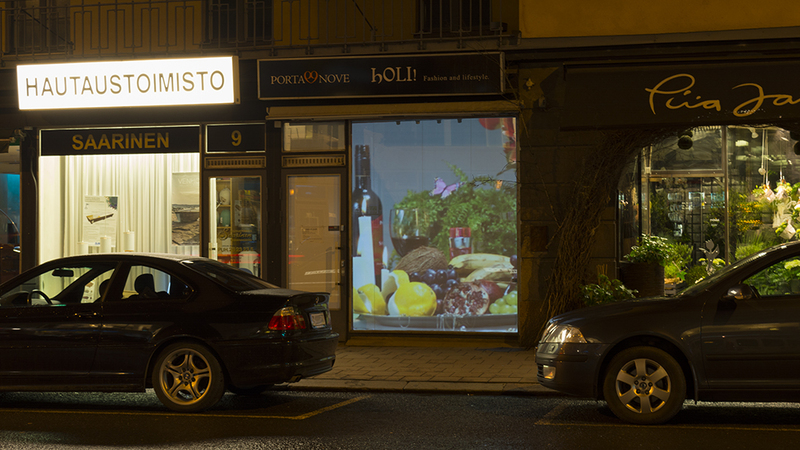 The video installation was presented in a shop window between a florist and a funeral home. Fountain of Youth, 2016. One channel video installation, 00:04:20. Installation view. Video used in the one channel video installation Fountain of Youth.